While experts argue on when and how much AI-powered technologies will impact the world job market, it's clear that the career paths of future graduates will be harder to predict. How will AI affect their future career choices, and how can the knowledge acquired at the university help them adapt to the needs of a fast-changing world? Over the past 30 years, AI has already made remarkable changes to the way in which people work. You can no longer expect to work in the same place for 25 years before a successful retirement. We need to prepare young professionals for a lifetime in which they may have up to ten careers, with the average adult working for a few companies simultaneously. What long-term careers will UNYP graduates have? "In the long run, less well-educated workers could be particularly exposed to automation, emphasizing the importance of increased investment in lifelong learning and retraining." However, many people speculate that even executives are in danger of being replaced by automation. 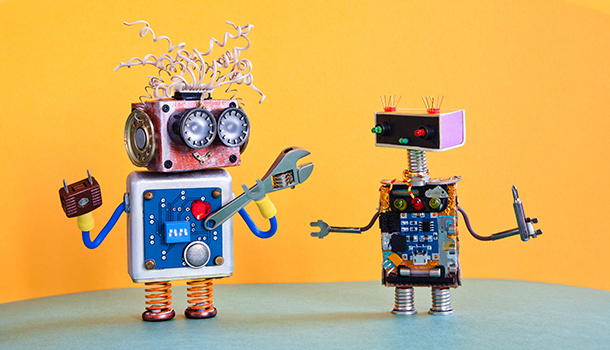 Although AI is evolving, the duties of business leaders will not be automated any time soon; soft skills are complicated to automate, humans prefer to deal with other humans, and it's difficult for machines to adapt to new, unexpected situations. There always will be unforeseen problems that need a human mind to solve. Some of the trickiest activities to automate are those that require the application of expertise to decision-making, planning, and creative work. Employee relations and engagement require the application of knowledge to decision-making and involve complex human interactions, which no algorithm can yet recreate. It looks like automation and technology are only making social skills more important. Yuval Ben-Itzhak, the CEO of Socialbakers, gave a TEDxUNYP talk in which he emphasized the positive aspects of AI. He talked about a recent study in which the scientists evaluated the IQs of the Google, Bing and Siri algorithms. These algorithms are still less “intelligent” than a six-year-old child. Y.B. : "Even if the developers will have a breakthrough, it is still a very long time before the IQ level of the Artificial Intelligence will reach the IQ of an eighteen-year-old person. And even when it will, do you think that an eighteen-year-old can take over the world? I truly believe that we witnessing a very early stage of the Artificial Intelligence development, and I think that instead, we should start calling it Augmented Intelligence." Y.B. :"Augmented Intelligence will add a lot of productivity to our environment. Of course, there will be a couple of occupations, which are going to be completely automated by these types of algorithms, but it's going to be below 5%. For about 60% of the occupations, Augmented Intelligence will be able to automate 30% of the work, which will give people an extra day and a half during the work week to learn something new, or be more productive, or to have more rest." This means that current and future graduates will need to have human-focused skills that are differentiated and complementary to what machines can do. Which means that education can no longer be based on “memorizing,” but requires a focus on the teaching of soft skills, communication strategies, and critical thinking. UNYP's system offers what online education cannot – imparting knowledge through human contact, small group teaching and significant attention to the quality of the classroom experience. We encourage our students to communicate their educational knowledge to the real world and to be aware of their critical consciousness. Our students learn to change the world instead of having to change themselves for the world. Classrooms are more engaging, and students are taught to think critically and evaluate. This system helps students find their creativity and lead themselves to success. Students do not just restate information but create arguments and oppositions. Businesses need to continually improve their products, processes, and services if they are to survive in a highly competitive market. To do this, they require employees with critical thinking who are competent to ask the right questions and get to the bottom of a problem. Employers are increasingly looking for employees who have not only mastered core subjects but who are flexible, successfully deal with changes and difficulties, and are open to learning new skills. Communication, collaboration, and creativity are the three foundation pillars of the future knowledge-based industries.